Soon after the new Constitution took effect and George Washington became president, the United States was in serious danger. A bitter political rivalry between two men who had once been allies and two surging issues that inflamed the nation led to grim talk of breaking up the Republic. Then, a single great evening, arguably the most important dinner party in American history, achieved the compromises that led to America's mighty expansion. Though often mentioned, that dinner has not been recognized as a milestone in the nation's history. 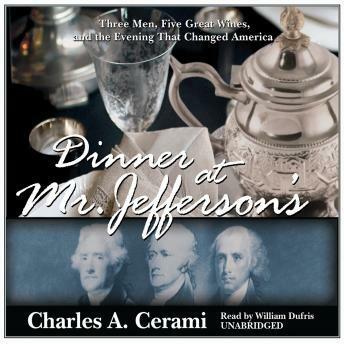 This book will give life to host Thomas Jefferson and his two guests, Alexander Hamilton and James Madison, as well as the dinner itself-the courses, the wines, the nature of the conversation-and the rapid results that followed.